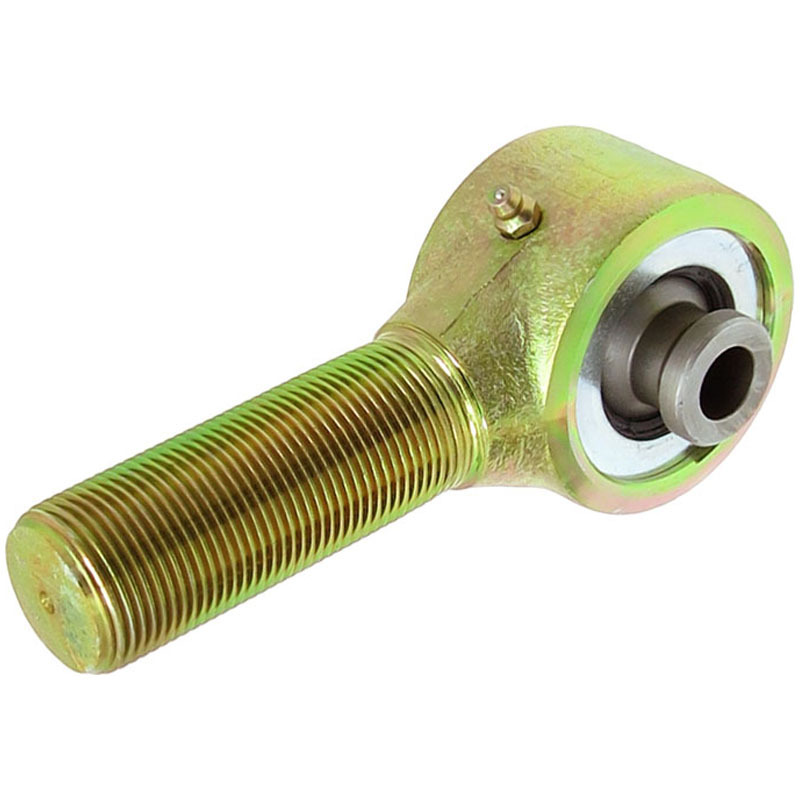 Forged narrow body Johnny Joint rod ends feature forged steel construction, 1 1/4 inch-12 right hand threaded shank and come fully assembled with our standard Johnny Joint internals and 2.625 inch wide ball center with a 9/16 inch Thru bolt hole. These units are externally greasable via a zerk fitting. Finished in gold zinc plating. We also keep the jam nuts for these units on hand at all times as well.